The Canadian War Crimes trial and acquittal will, in retrospect, be seen as an outstanding landmark in Western Civilization's struggle to survive the challenge of those dark forces which seek to destroy the value system upon which it was founded. 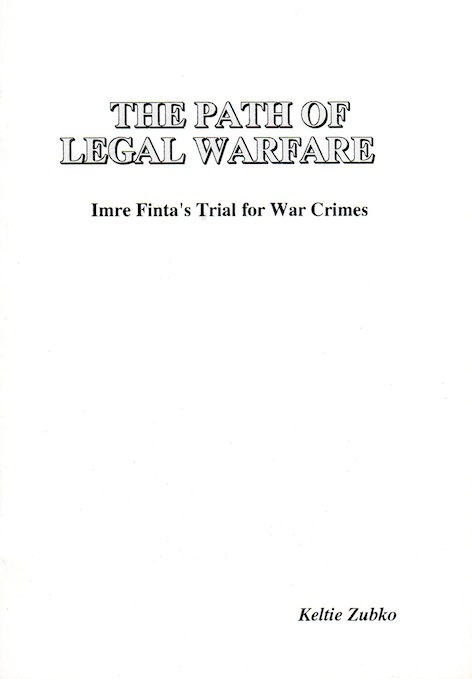 The Imre Finta trial was historic in that it was the first trial of its kind under War Crimes legislation first introduced in Canada and now duplicated in Australia, and the United Kingdom. It was the first time anywhere in the world that a jury of ordinary men and women had sat is judgment upon war crimes of the Second World War. Nuremberg was judged by judges from the victor nations only, and from them there was no appeal. Before the Finta case, the laws never had to be considered by ordinary people without political appointments. In this sense, it is the judgment of history upon the Nuremberg process, and its denial of obedience to superior orders. The jurors' judgment reflected common sense rather than political considerations.